The rapidly changing nature of animal production systems, especially increasing intensification and globalization, is playing out in complex ways around the world. 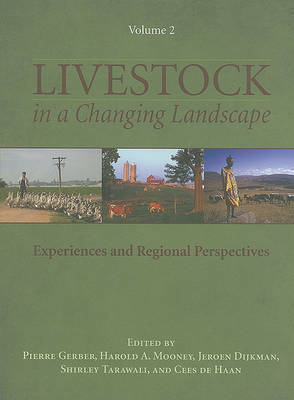 Livestock in a Changing Landscape offers a comprehensive examination of these important and far-reaching trends. The books are an outgrowth of a collaborative effort involving international nongovernmental organizations including the United Nations Food and Agriculture Organization (UN FAO), the International Livestock Research Institute (ILRI), the Swiss College of Agriculture (SHL), the French Agricultural Research Centre for International Development (CIRAD), and the Scientific Committee for Problems of the Environment (SCOPE). The volumes present new, sustainable approaches to the challenges created by fundamental shifts in livestock management and production, and represent an essential resource for policy makers, industry managers, and academics involved with this issue.